CHAO slices come in three varieties — Creamy Original, Coconut Herb, and Tomato Cayenne. We found the first two at our local co-op and are still searching for Tomato Cayenne. 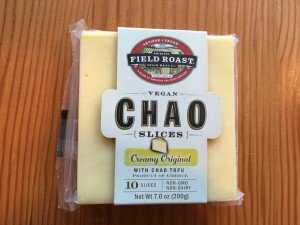 CHAO is a non-dairy coconut cheese; the Field Roast website reads, “Chao Cheese is a continuation of our fascination with combining traditional Asian and European foods to create new culinary fusions, which we’ve done by partnering with a Greek cheese maker and a family in Taiwan who makes the Chao.” Yum. 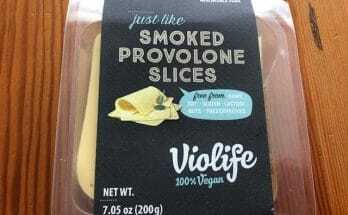 Probably because of the coconut oil base, the slices feel a little waxy, and they are not especially flavorful if eaten straight from the package (yes, I do eat vegan cheese straight from the package). 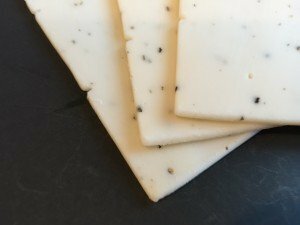 However, once melted on sandwiches or bagels, the flavors come alive, and both these varieties are delicious. 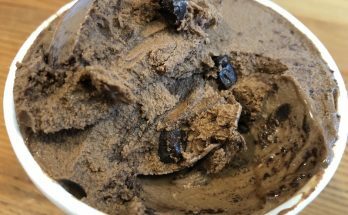 For anyone wondering, the Coconut Herb variety doesn’t taste like coconut; it just has a lovely herb flavor, and we found it to be more savory than the Creamy Original. While we enjoy these best when melted, we did pack a sandwich one day with CHAO Creamy Original slices, and it tasted great even after half a winter’s day in the car. 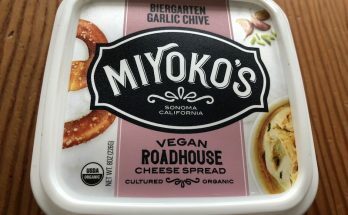 These slices are the best I’ve had yet, so try them out for all the sandwichy things you’ll need. 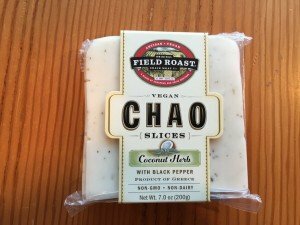 And it gets much better than sandwiches…check out the Field Roast website for their CHAO recipes.